The 2017 Nature’s 10 – Nature’s annual list of ten people who mattered in science in the past year – appears in the journal this week. “From quantum communications and genome editing to the threat of a nuclear crisis and the dismantling of environmental protections in the United States, this list covers the highs and lows for science and scientists in 2017,” says Brendan Maher, acting chief news features editor at Nature. 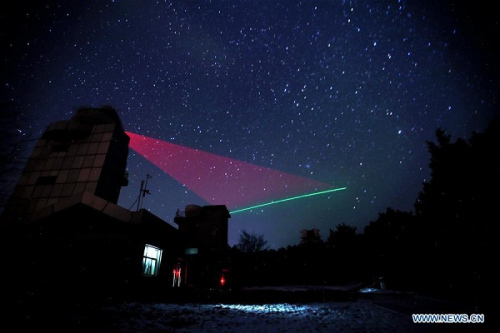 Chinese physicist Pan Jianwei helped his country to the forefront of long-distance, ultra-secure quantum communications, reporting that his team beamed the quantum state of a photon here on Earth to another on an orbiting satellite 1,400 kilometers above. Astronomer Marica Branchesi of the Virgo collaboration, which operates a gravitational-wave detector near Pisa, Italy, helped bring together more than 3,500 researchers who captured the collision of two neutron stars in extraordinary detail. Also notable for bringing people together is Khaled Toukan, who helped guide the completion of the Middle East’s first synchrotron, and coordinated partner countries in the region that rarely have the opportunity or desire to collaborate. As head of the Comprehensive Nuclear-Test-Ban Treaty Organization, Lassina Zerbo worked hard to encourage nuclear non-proliferation despite escalating global tensions. He was a leading figure in the global response when North Korea performed its largest ever test of a nuclear weapon. Mexican geophysicist Victor Cruz-Atienza also sprang into action after a magnitude-7.1 earthquake struck Mexico City — showing that the quake behaved exactly as his models had predicted. The list also highlights the impact of US Environmental Protection Agency head Scott Pruitt, who has angered environmentalists and many scientists through his deft and deliberate efforts to weaken anti-pollution policy. In medicine, Nature’s 10 celebrates Emily Whitehead, the first child to receive an innovative cancer immunotherapy that was subsequently approved for use in the United States this year. Such cell-based therapies may soon be improved by the powerful CRISPR genome-editing technique, which biologist David Liu and his team at the Broad Institute in Cambridge, Massachusetts, have been working to improve. London-based lawyer Ann Olivarius, a veteran in the fight for gender equality in academia, worked to expose the perpetrators of sexual abuse and harassment and the university systems that protect them. Finally, cancer geneticist Jennifer Byrne at the Children’s Hospital at Westmead in Sydney, Australia, led the development of an innovative new tool to root out error-laden papers in the literature based on DNA-sequence searching. "These diverse individuals have left an indelible mark on science in 2017,” says Maher, “and they will no doubt continue to make an impact." For further information, please contact the Nature Research press office. In China, some call him Liàngzĭ zhī fù: ‘Father of Quantum’. 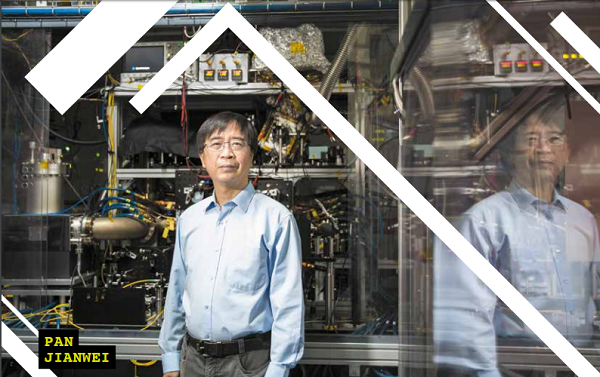 It’s an aptname for Pan Jianwei, widely hailed for leading China to the forefront of long-distance quantum communication: harnessing quantum laws to transmit information securely. After training in Europe, Pan returned full-time to China in 2008, and has since lit a fire under the country’s efforts in quantum technology. “It seems like a couple of times a year I’m shocked when I read about what they’re doing,” says Christopher Mon- roe, a quantum physicist at the University of Maryland in College Park. In July, Pan and his team at the University of Science and Technology of China in Hefei reported that they had smashed the record for quan- tum teleportation, transmitting the quantum state of a photon on Earth 1,400 kilometers to a photon on an orbiting satellite. And in September, the team used that satellite to beam photons to Beijing and Vienna, generating quantum encryption keys that allowed teams in these cities to video-chat with complete security. Because detecting the photons disturbs their quantum states, would-be hackers cannot intercept the keys without their activities being noticed. The demonstration was a “historic event”, says Anton Zeilinger, Pan’s former PhD adviser and his current collaborator at the University of Vienna. Pan’s group, he says, is surging ahead in the development of a quantum internet: a network of satellites and ground-based equipment that could share quantum information across the globe. Although he leads a group of 50 scientists spanning multiple disciplines — including quantum simulation, computation and optics — Pan is the “essential brain” behind the work, says Zeilinger, bringing to it a combination of vision, organization and a flair for experiment. Known as an optimist with unending enthusiasm, Pan also has a gift for persuading funders. And he is quietly confident that the Chinese government will support his next big plan: a US$2-billion, 5-year initiative focused on quantum communication, metrology and computation, which mirrors a $1.2-billion European flagship initiative announced in 2016. The landmark breakthrough on intercontinental quantum-encrypted communications made by Chinese scientists opens the window for global quantum communications, turning the once-doubted quantum phenomena into reality, a world leading quantum physicist told Xinhua. A 2,000-km quantum communication line opened on Friday between Beijing and Shanghai. The line is the world's first trunk line of secure quantum telecommunications. The Jing-Hu (Beijing-Shanghai) Trunk Line connects Beijing, Jinan, Hefei, and Shanghai.